great set of custom minifigs including the project arbiter custom minifig thats so eagerly anticipated. also notice the cyborg armor thats been painted. 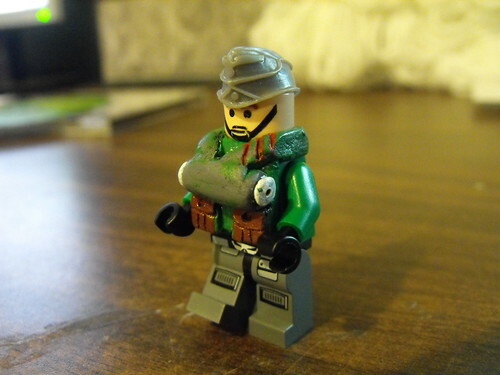 another hand made custom minifig, the chest piece looks like its supposed to form part of some para trooper equipment but due to the sculpting its a little unclear. bit home made looking but a decent enough custom minifig here. note the scarf and chest rig that have been custom sculpted. 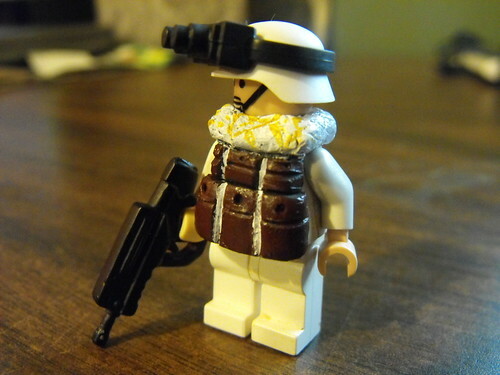 also note the FAMAS custom minifig gun. Eclipsegrafx is a custom minifigure designer from New York who creates all your favorite Super Heroes and Military characters done in high quality LEGO minifigures. Using the same printing techniques as LEGO these minifigures are hugely popular and very collectible. These minifigures are only released in small quantities between 50-250 and eclipsegrafx has gained a cult following from various LEGO communities and collectors from around the world. You can buy all the latest minifigures online from eclipseGrafx in the USA or minifigures.co.uk in the UK/Europe. 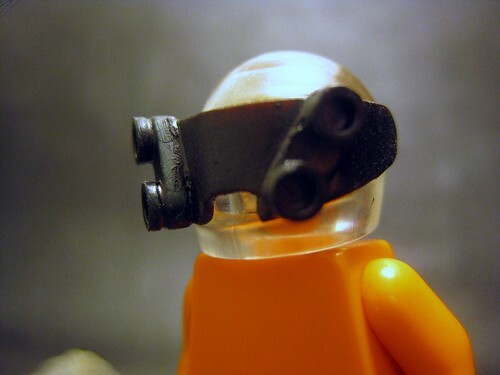 interesting customization of a vison with a bit cut out at the chin and some cut up goggles making the unique parts stuck on the visor.